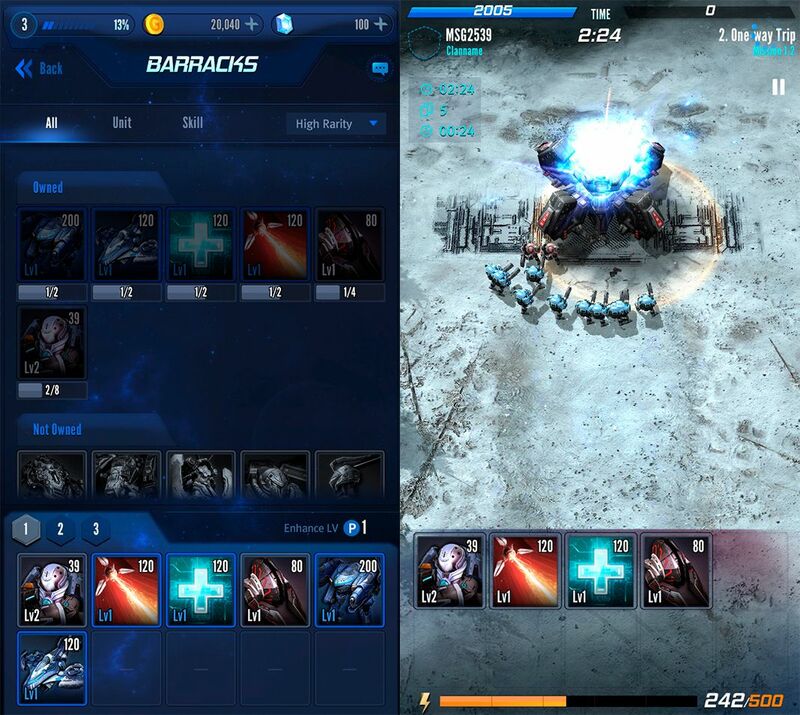 Nova Wars : Galactic Clash is a Clash Royale-style online battle game that immerses you in outer space conflicts worthy of Starcraft. Nexon is one of the most important mobile videogame companies in the entire world. The enormous number of games they offer doesn’t lower their production quality in the least, and in fact, you’ll find they offer a surprisingly interesting selection of games. If you’re looking for an alternative to Clash Royale with PVP battles, then Nova Wars is your go-to. But of course, this game offers enough extras to set itself apart in the already over-saturated genre. When your start playing Nova Wars for the first time, it’s normal to feel a little bit of déjà vu. Not for its gameplay, which we’ve already seen a thousand and one times in this style of PVP game, but for its visuals. The game takes you to a far-off future where you participate in a war between human factions, looking suspiciously like Starcraft from all angles. 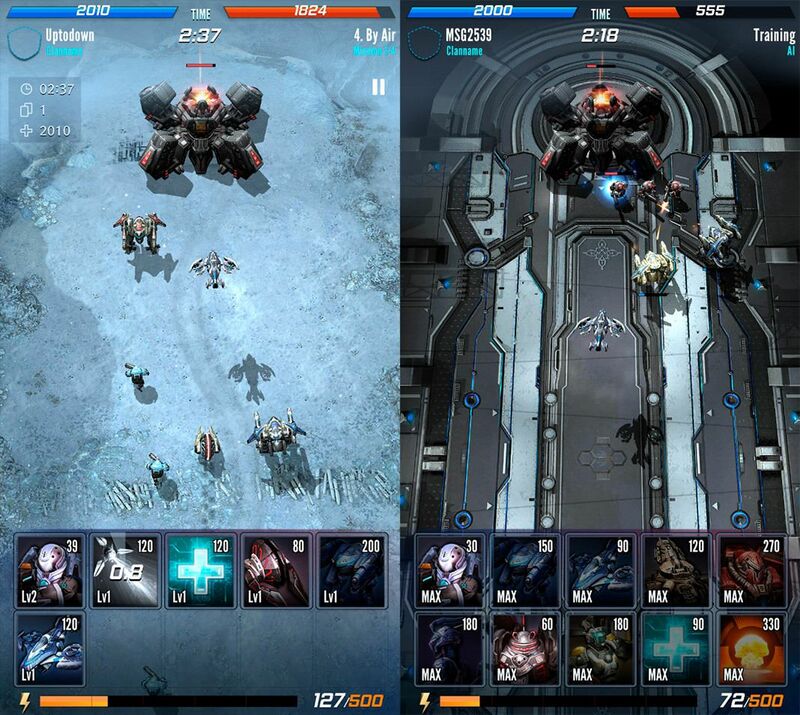 The design of the units is inspired by the game by Blizzard and you can even make out the legendary starcraft tanks in all their glory. Seeing this makes us wonder where the line is that separates inspiration from all out plagiarism. In any case, that doesn’t mean we’re not going to enjoy playing this game all the same. What’s surprising about Nova Wars is the sheer number of possibilities it offers. Not only does it come with a whole slew of units that will leave you awestruck, it also offers an enormous array of buildings to construct and cards with abilities you can apply. This high degree of customization may see overwhelming at first, but all it takes is a few rounds to get the hang of the whole thing. On the bright side, not only do you have to survive the online battles, you can also discover the way the cards work through its extensive campaign mode — a mode that will give you access to new units to continue fighting with. 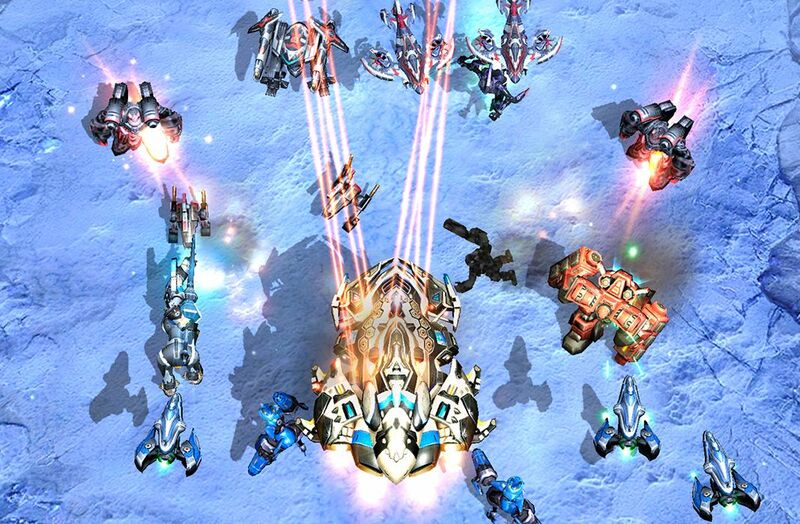 Nova Wars is an excellent online PVP with fast-paced rounds and spectacular visuals. It’s obvious that they’re tying to do something different from Clash Royale, as seen in its long setting, where you can move the camera vertically to cover it completely, and in its interesting combat gameplay: before the battles, you can reveal 5 of the 10 cards your enemy has and your rival can do the same. This makes the strategy in each and every game completely different from the last, and helps you to adapt your tactics accordingly. It’s a shame that a game that offers this much quality material doesn’t have more players, but hopefully this will change once it’s officially released worldwide. Meanwhile, you can enjoy the game freely by downloading it from our website without any geographic restrictions.